If you are not using Pin Bar candlestick pattern recognition to determine price action while trading then it is about time you did, it has been around for 100's of years and is a seasoned tool in the financial markets. This pattern should not be used on its own, but instead as a confirmation of a price reversal. Martin Pring who wrote a book on candlestick patterns discussed a candlestick formation he coined the “Pinnochio Bar" tends to offer very reliable reversal signals when identified and traded properly. The psychology behind the candle is that price “lied” to us and it tried to convince us it was moving lower, but in reality, the price moved much higher by the end of the session, so the name Pinnochio or pin bar is used. These pin bars are a powerful reversal signal when used with other indicators. 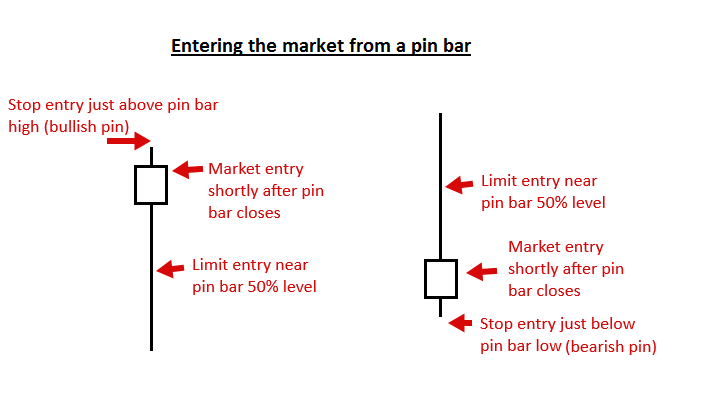 The most popular and simple strategy used with pin bars is to submit an order "at the market", which means you enter at the current market price. The pin bar candle must close before the order is placed until the candle is closed it is not yet a pin bar. This sounds simple, but is it that easy. Another example is to trade using a pin bar trading signal, this is when you submit a limit order while the candle is forming on a 50% retrace of the pin bar. this means that you wait for the price to retrace to about the halfway point of the entire pin bar's range from low to high so that this would be the 50% level, this is where the entry price is waiting. Trader's can also submit a stop order just above the high or below the low of the pin bar. This is probably the best way to trade with any market and if you use a pin bar signal in a trending market, it can offer a high probability of winning with a good risk & reward ratio. 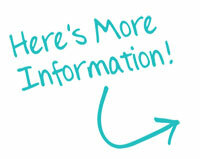 If you are new to trading it will be easy to learn to trade with pin bars together with a dominant daily chart trend. When you see a pin bar it usually means that there is going to be a reversal in the market and they are a good tool for predicting the near or long-term direction of the price. Not all pin bars provide signals for entering a trade, the ones you should be looking out for are when there has been a strong trend and then a retracement of price to a support or resistance level, this is why this indicator is a perfect companion with the cTrader Support & Resistance Level Zones indicator which we offer. If you are new to candlestick patterns keeps your eyes on the daily chart pin bars as well as the 4-hour chart pin bars, these two timeframes seem to be the most profitable. If a pin bar candlestick has a longer tail this will indicate that there will be a higher probability of a price reversal, most candles as they form will retrace to the 50% level as described above and you can also trade these. Pin Bar Pattern Detection Software? Take a quick look at the cTrader Pin Bar Candlestick Detector Indicator, this indicator will automatically identify Pin Bar candles.